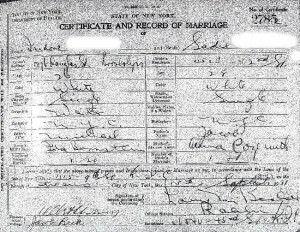 Throughout the 19th century, literary ability – or lack of it – was measured by an individual’s ability to sign the marriage register. About half of the population shockingly could not sign their own name at the mid century. A major shift in education took place over the following decades in a movement towards full literacy. 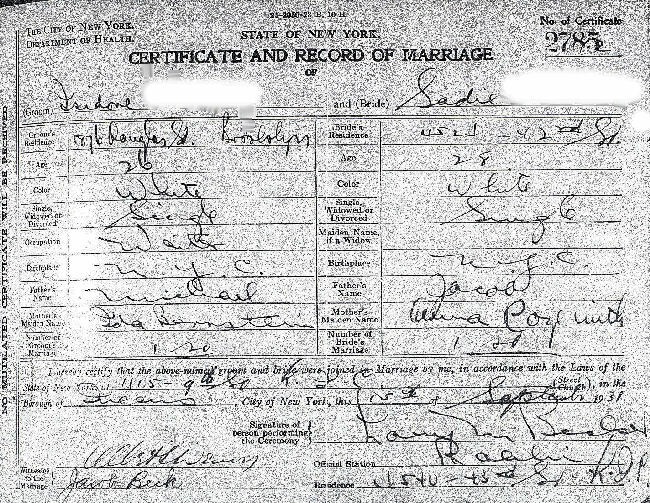 By 1914, a year before the birth of Eleanor Hutchinson, over 99% of men and women had the ability to sign the marriage register. As a working class girl, growing up alongside this movement towards full literacy, the importance of education was something Hutchinson was acutely aware of. 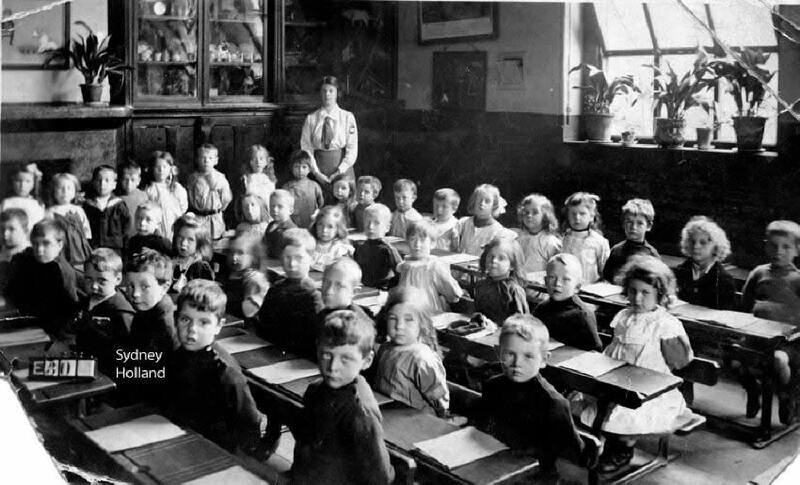 By 1913 full school attendance until the age of 13 was obligatory, although the compulsory education system was based around the idea of ‘functional literacy’ (Vincent 15) – the idea that a child should learn enough to participate within society. Eleanor Hutchinson, however, thrived on the chance to become educated. Born on Woodchester Street, Paddington, the range of job opportunities were terribly small. Working class workers were either forced into the dangers of the mine, or degraded as a domestic servant. Hutchinson’s father was adamant that Eleanor should not be constrained within this narrow pathway. “It was my father’s wish anyway that we should rise above it and get away from it all… He would turn in his grave if I ended up scrubbing floors for the rich” (Hutchinson 6). 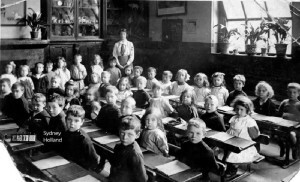 Carol Dyhouse explores the importance placed upon education within the working class community: “Families who suffered in the depression of the 1930s were often desperately keen to enable their sons to obtain the qualifications for secure employment” (Dyhouse 826). Although not a boy, Hutchinson was implored by her father to focus on her education as a means to better future employment. Eleanor started school at Our Lady of Dolours at the age of five. Here she talks of experiencing nothing but kindness. As a result of this, Hutchinson remembers little of these early years “I doubt that I had ever seen a cane. Perhaps it is because of this that I remember so little of my early schooldays” (Hutchinson 41). The same however cannot be said for her later experience of school life which took a devastating turn. 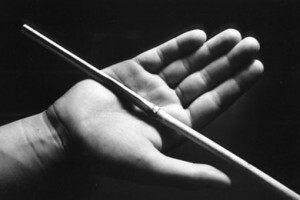 Eleanor’s first encounter with violence in the school place emerged at the age of seven: “Sister Mary Radegunda got hold of one of her inch-square coat hangers in the dormitory and gave about seven of us the ‘cane” (Hutchinson 63). Hutchinson remembers being confused, not understanding how it could be acceptable to inflict pain on others. After the death of her mother at the age of seven, Hutchinson was taken from her familiar school surroundings and forced to move to the Marylebone workhouse where she would live until the age of nineteen. At the age of eight, Hutchinson was thrown into Standard I for what she calls “big school” (Hutchinson 68). Hutchinson describes the frequent corporal punishment experienced by herself and her peers at the hands of the nuns: “After much racing and ranting, she got hold of a garden pole and proceeded to strike the girl anywhere and everywhere. The pole broke, but she had another, and on she went like a raving lunatic” (Hutchinson 70). Although many of the major beatings of Standard I were not directly inflicted upon Hutchinson, the psychological effect of witnessing such brutality is apparent through her meticulous memory of these events. Education and schooling in Hutchinson later childhood was plagued with violence and instability. She is not however resentful about the fact that she was uprooted from the safety of Woodchester and subjected to the workhouse: “Would I not have been happier had I never left Woodchester street…But then, where would I have been without some decent form of education” (Hutchinson 6). Had it not been for her father’ss encouragement to follow her education, Eleanor may not have been quite so willing to participate in the school room. Dyhouse, Carol, ‘Family Patterns of Social Mobility through Higher Education in England in the 1930s’ Oxford University Press, Oxford, 2001. Vincent, David. ‘Love and Death and the Nineteenth-Century Working Class.’ Social History, 5.2 (1980): 223-247.